I am a writer, singer/harpist, artist, and crafter. I was born, went to school, and spent most of my life in New York State—the bit with apple trees and cows, not the part with Broadway and Wall Street. I now live in Louisiana, on Lake Ponchartrain’s north shore. I have written two manuscripts: Getting Out of Bed . . . and Other Astounding Feats—a memoir about my experiences of living with Chronic Fatigue Syndrome and Communing with Saints—a novel about a young, conflicted Catholic woman who spends an eerie Lent being haunted by the ghost of Typhoid Mary. I am currently at work on a new novel having to do with—among other things—Taosim, witches, and knitting. I am seeking a literary agent and a publisher. I have been singing for as long as she can remember and I play a Thormahlen Serenade—a lovely 36-string lever harp. 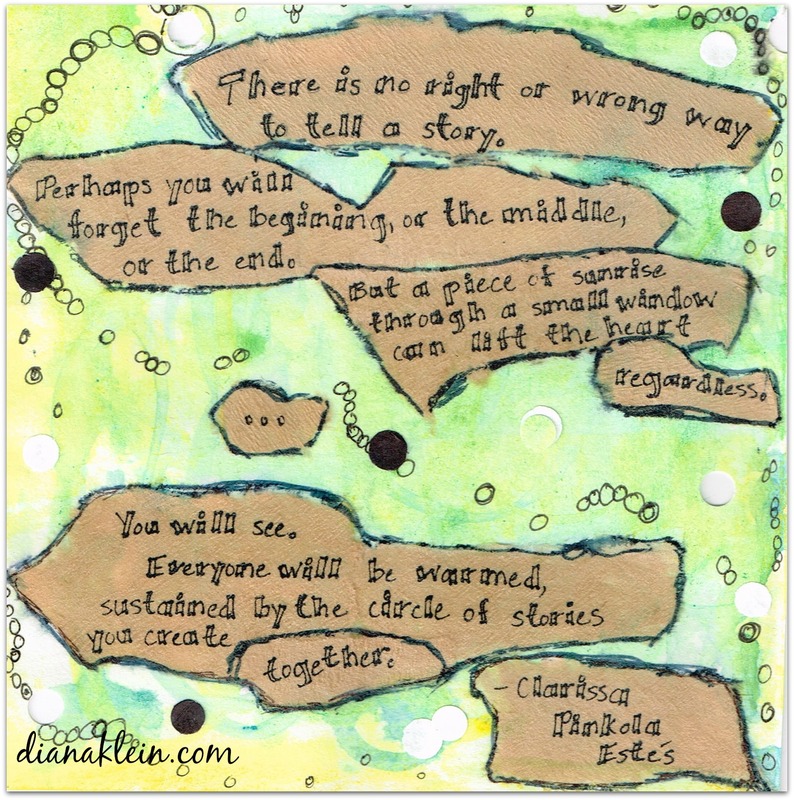 I enjoy making mixed media and fiber art–in short, if there’s paper or fabric involved, I’m into it. And when I’m not busy with all this other stuff, I’m probably knitting or doing some other craft.